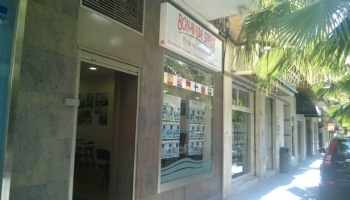 We at Bonavida Spain SL, a real-estate agency with a track record of more than 15 years of outstanding service, offer to be your personal and knowledgeable contact that guides you through the process of buying a property on the Spanish Mediterranean coast. We have offices in the centre of Torrevieja and Santa Pola and agents in Norway, Sweden, Finland, and the UK. We guarantee that every step in your purchase process is completely legal and that all the paperwork and licenses are in order. Our property consultants and solicitors possess a long experience and can answer all your questions about buying and owning a property in Spain. You can then concentrate on your most important task: finding the property that is exactly right for you. Buying a property abroad – whether for investment, holidays, or permanent living – is a major decision, perhaps one of the biggest financial moves you will ever make. I can assure you that Bonavida Spain will help you to make a balanced decision based on the best information and the soundest legal expertise available. Although still a major decision, buying a place in the sun has become relatively easy. European Union citizens enjoy many advantages here that make a home in the sun an attractive option. Spanish banks are again welcoming foreign clients and offering them great mortgage deals. The legal system has improved to give you more guarantees and to help you avoid the pitfalls. So now is a good time to buy, and a quick web surf for price comparisons between Spain´s various coasts should convince you that the south-east coast is still going strong. We arrange inspection trips to the Costa Blanca and the Costa Cálida throughout the year. We are sensitive to your special wishes and want to ensure that you get the personal attention you need. Our strict one-to-one, no-pressure policy is there to guarantee that you don´t waste your time travelling with others who may be looking for properties of little or no interest to you. Please call in at our offices or contact us by phone or e-mail for more information and a look at our properties - with no obligations but with all the guarantees!